A seminar by Reza Negarestani (via skype) with Mårten Spångberg as a coordinator. Wedges of Imagination. From Mechanical Combinatorics to Gestural Collaboration. The focus of the lectures will be on a modern theory of imagination where imagination – as simulation and schematic imaging via geometrical reasoning and gestural synthesis – is distinguished from nature and where imagination posits a wedge between human and reason. Reason becomes the inhuman vehicle navigating spaces opened up by a non-trivial and mechanic conception of imagination that acts as a twisted wedge between culture and nature, reason and human. We subsequently examine the concept of creativity implicit to an imagination conditioned within and in accord with the modern system of knowledge to arrive at our final destination, that is the question of creativity in the wake of an impersonal, rational and trans-and-absolutely modern imagination: What is a monstrous and contemporary imagination and what are the creative implications of such imagination? The lectures will be accompanied with case studies and examples from the antiquity to the middle ages and the contemporary era. The Wedge and the Wheel. The Curious Case of Archimedes of Syracuse. The Rise of Medieval Machines (an exercise in wedging imagination between reason and humans). Re-wiring Imagination. In the Electric Mist of Human Gestures (knowledge-navigation in new spaces). The Abduction of Dr. Peirce (a new encounter with hypothesis). The Rules of Imagination. Inside the Walls of the Concept-Space, Outside the Walls of Collaboration (the open space of rational creativity). Confessions of an Extended and Distributed Mind (navigate with extreme prejudice). The Rise and Fall of the Exchange Market of Facticity (imagination in collaborators versus collaborating imagination). 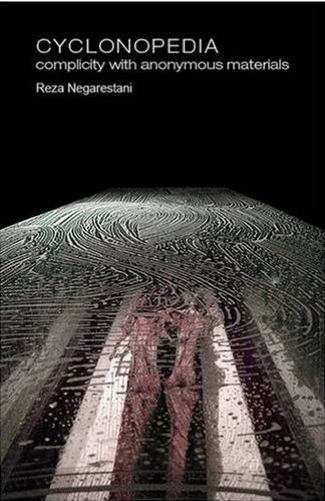 Reza Negarestani is an Iranian philosopher and writer who lives and works in the Middle East. Negarestani’s preoccupations and matrix of socio-historical emergence have given him a unique perspective on the Middle East. His writings have gained wide recognition and gathered a cult following. His writings include Cyclonopedia: Complicity with Anonymous Materials (2008), The Mortiloquist (forthcoming this summer).